For many pet owners, their dogs are often treated like children. However, when a human baby or child is about to enter the home for the first time, your dog may be less than thrilled about the new addition. If your dog is displaying behavior issues already, these will likely be worse once you bring home a new baby. The good news is that nine months is a lot of time to work on correcting your pet’s issues. If you are unsure how to resolve any existing behavioral problems, this is a good time to work with a professional. In the meantime, there are several smart steps you can take during your pregnancy and after the birth to help with the household transition. When it’s time to bring your new baby home, allow your dog to enter the house and greet everyone with her usual excitement while you remain outside the house with the baby. After your dog has done her usual greeting and releases some of her energy, put her on a leash. This is important in the event she reacts poorly to the baby. It will also help your dog know that she is under control and can calm down while in hand. The person with the leash should have some treats in hand. Introduce the baby to your dog and reward her for every good, calm and/or unexcited behavior. If you have an extra hyper dog, take them for a long walk before the baby arrives home for the first time. Drain your dog of its extra energy and make sure they are in a calm state before entering the home. Your dog will pick up on the new scent as soon as they enter the house. If everyone inside the house is also in a calm state, any lingering anxiety your dog may have will settle fairly quickly. Allow your dog to smell the baby from a respectful distance, teaching the dog to respect the boundaries of the baby. Using items that belong to the baby, such as a burp cloth or toy that has the baby’s scent is a useful tool in helping to set clear boundaries. Allow your dog to smell the items from a distance while you are holding them. This teaches your dog that the smell, the items, belong to you. Giving your dog permission to smell the items, and teach them to not sniff them when you ask them to leave it alone, will help teach your dog respect for both you and the baby. Establish nursery boundaries on the first day. It is often a better idea to teach your dog that the nursery is off limits and they are not permitted to enter the room without your permission. Over time, for continued good behavior you can allow your dog to smell and explore the room while you are there, but when you leave, the dog also has to leave the room. Doing this will set clear rules that you are the leader and that the room belongs to you and must be respected. Understandably, a new baby takes up a lot of your time. However, it is equally important that you remember to take good care of your dog and give them attention too. While new toys are nice, they are not necessary for your dog to feel important. Keep your dog happy by making sure you stay on schedule with their usual routine. Feeding time, dog walks and play time should be kept the same along with consistent leadership. This will help your dog feel secure and relaxed with the new baby in the house. If your dog is still in puppy stage when the baby arrives and has a tendency to bite, you will want to correct that habit to avoid injuries to the baby. 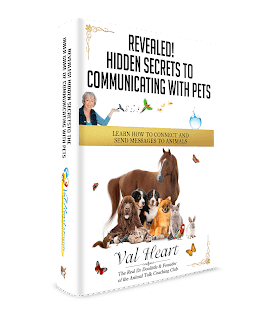 You can learn more by reading How to Train a Puppy That Bites. As your dog is more comfortable and relaxed around your baby and you know you can trust her to be respectful, then you can begin to allow more contact. Eventually, if you do it right, you can give your dog babysitting privileges once they’ve earned it.